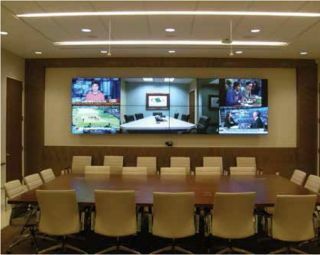 Interactive Solutions, Inc. has developed new service offerings to ensure the money that a customer spends on conference room technology, like the HD video and audio conferencing and multi-window display capabilities in this integrated boardroom, is maximized. Whenever a statement begins with the phrase, “In a world,” we know something big is coming. So when Michael Maniscalco, vice president of technology, ihiji, and others in the industry explain that in a world of decreasing product margins, increasing competition and great complexity, many systems integrators are looking at various ways to improve their bottom line, we know it’s universal. Beyond cost-cutting, newer technologies are making everyday installs more profitable. “Traditional cost-cutting can only take it so far, and many technology integrators are now implementing software tools that provide improved efficiency as well as a new recurring revenue stream,” Maniscalco said. “With more devices relying on the network for content, control, and communication, it is increasingly more common for integrators to deploy a remote network management solution. These tools let integrators attend to service-related issues proactively and remotely while also improving visibility for troubleshooting. And as audiovisual and video conferencing technologies continue to evolve with ever decreasing price points and total equipment costs, integrators are having to look for newer ways to increase the profitability of jobs to account for these decreased revenues, as well as exploring new streams of recurring revenue, said Michael Sanders, vice president of business development, Interactive Solutions, Inc.
From a network technology perspective, solutions that increase performance, reduce complexity or deployment costs make everyday installation projects profitable, said Benson Chan, vice president of business development, Pakedge Device & Software. The current market environment also has provided a great opportunity to re-evaluate room design concepts and operational approaches in an effort to increase efficiencies along many fronts. “One example is looking at wireless presentation technologies, such as Barco ClickShare, AMX ENZO , Crestron AirMedia, etc., not only as a great way for customers to limit cables and single input locations in conference rooms, but as a way to reduce the amount of onsite installation time required since cable runs, core drills, table cutouts, etc. become a non-issue,” Sanders pointed out. For systems integrators accustomed to selling equipment, the managed services business can be challenging.